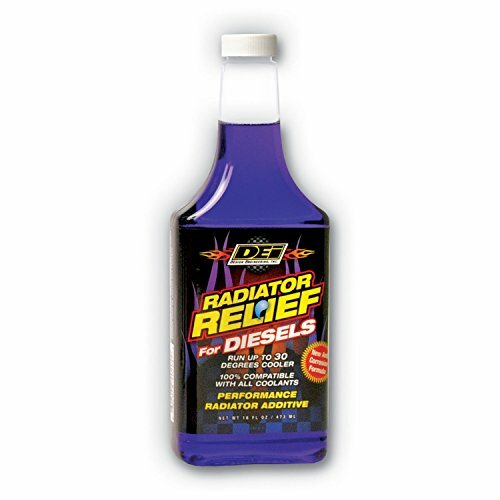 Design Engineering DEI 040204 Radiator Relief Coolant Additive for Diesels, 16 oz. DEI Radiator Relief for Diesels supercharges your radiator by transferring heat more efficiently through the radiator. Similar to the original formula this proven coolant additive will reduce your operating temperature up to 30°F degrees and reduce engine wear that occurs during extreme heat. Radiator Relief for Diesels is also formulated with a corrosion inhibitor that reduces mineral deposits. This is the first additive that maintains pH levels that otherwise fluctuate over time resulting in core damage. If you have any questions about this product by Design Engineering, contact us by completing and submitting the form below. If you are looking for a specif part number, please include it with your message.